5th seed Caroline Wozniacki, whose Wednesday night match was washed out by a rain and hail storm, had to play twice today at the Volvo Car Open, and she won both her second and third round matches in straight sets. 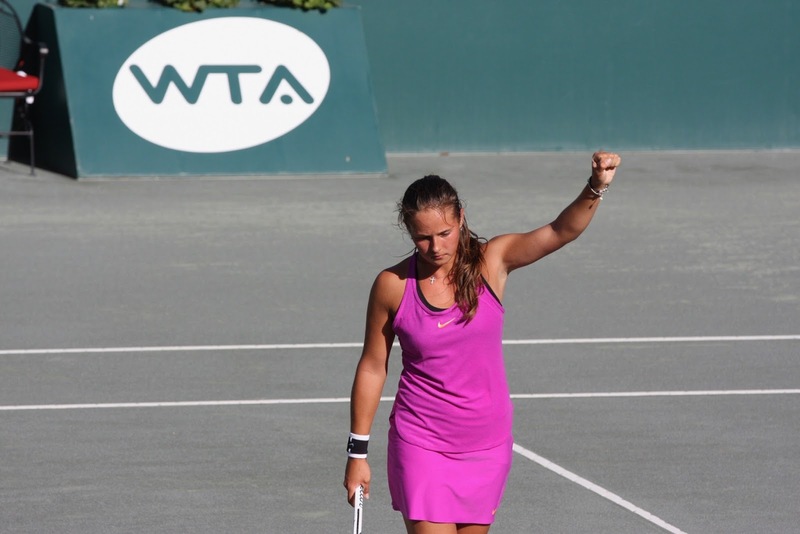 The postponed match, against Annika Beck, ended with a 7-5, 6-1 victory for the Dane, and this evening, she defeated Anastasia Rodionova 6-3, 6-3. Wozniacki won the tournament in 2011, and was the runner-up in 2009. The major player today, however, was the wind. The flags in the stadium were fluttering and flapping, debris fell onto the court, we felt some shaking in the media tent, and during a morning match, one of these signs was pushed forward by the wind onto the court, stopping play. 2010 champion Sam Stosur, seeded 6th, was upset in a battle of the forehand against the backhand. The backhand belonged to Irina-Camelia Begu, who used it to expertly handle the wind and defeat Stosur in straight sets. This is the third year in a row that the Romanian has reached the quarterfinals. In both 2015 and 2016, she lost in the quarterfinals to Angelique Kerber (who went on to become the champion in 2015). Hometown fan favorite Shelby Rogers faced off against Naomi Osaka in the night match, and advanced to the quarterfinals with a 6-4, 6-2 victory. 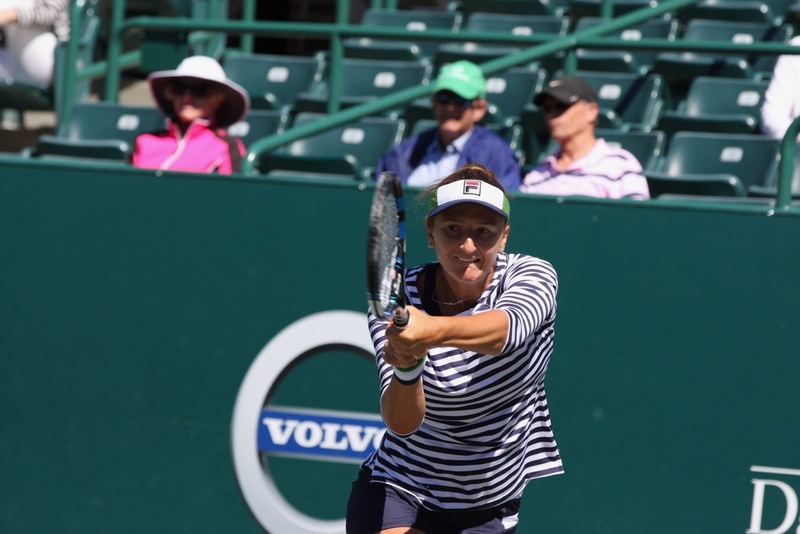 Rogers, who was once a ballgirl in Charleston, will play Lucic-Baroni in the quarterfinals. 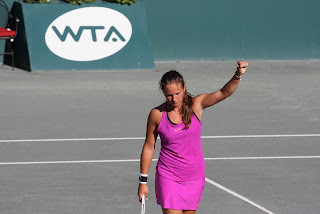 Close friends Daria Kasatkina and Daria Gavrilova (The Dashas) faced each other today in the 3rd round, with Kasatkina emerging the winner, 6-3, 4-6, 6-0. Laura Siegemund, who upset Venus Williams yesterday, upset 15th seed Lucie Safarova today in straight sets. 7th seed Kiki Bertens went out to Mijana Lucic-Baroni, and 8th seed Anastasija Sevastova quietly advanced with a win over lucky loser Ons Jabeur. 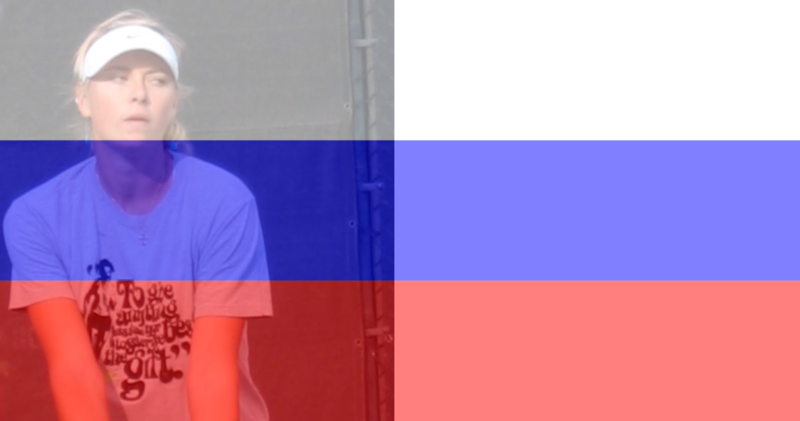 Also advancing was Jelena Ostapenko, who opponent, qualifier Fanny Stollar, had to retire due to injury. In doubles, top seeds Bethanie Mattek-Sands and Lucie Safarova advanced to the third round, but 2nd seeds Andrea Hlavackova and Sania Mirza were upset by Raquel Otawo and Jelena Ostapenko.